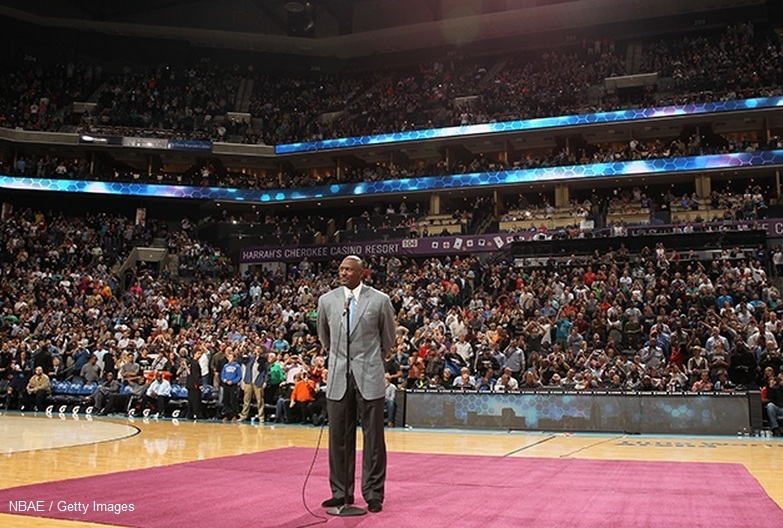 The Charlotte Bobcats took the next step in the process of becoming the Charlotte Hornets tonight when Chairman Michael Jordan unveiled the brand identity that will be used when the Hornets name returns to Charlotte for the 2014-15 season. 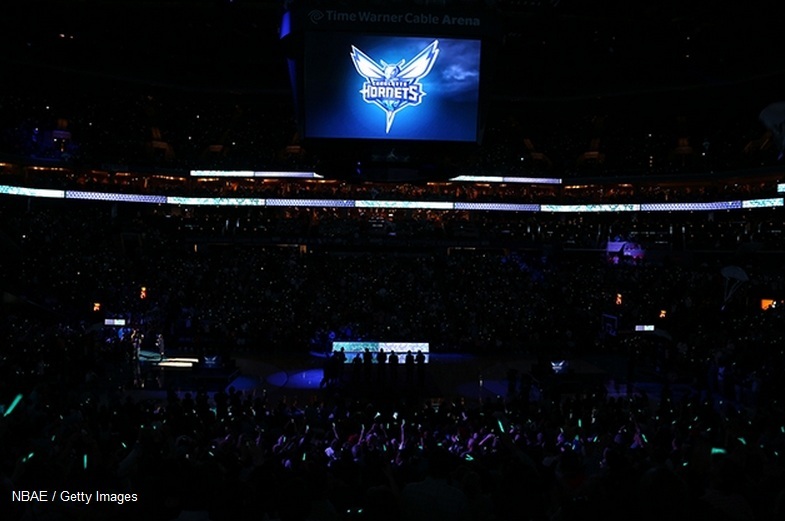 The team’s logos and wordmark were introduced during an on-court halftime ceremony that was emceed by Fox SportSouth’s Stephanie Ready and featured Hornets legends Muggsy Bogues, Rex Chapman, Dell Curry and Kelly Tripucka. 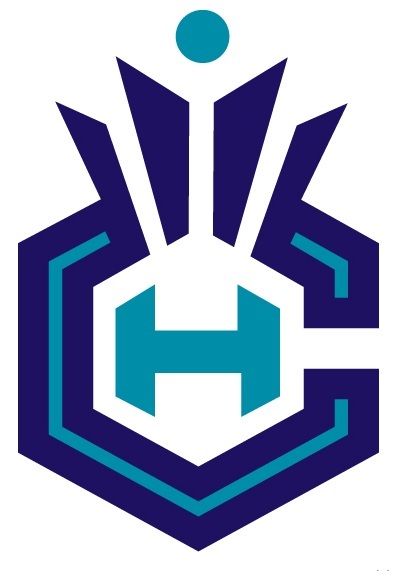 The primary logo utilizes the purple and teal color palette and features an aggressive-looking hornet that is ready to attack. Its piercing eyes, raised antennae, expanded wings and pointed stinger depict its relentless intensity. 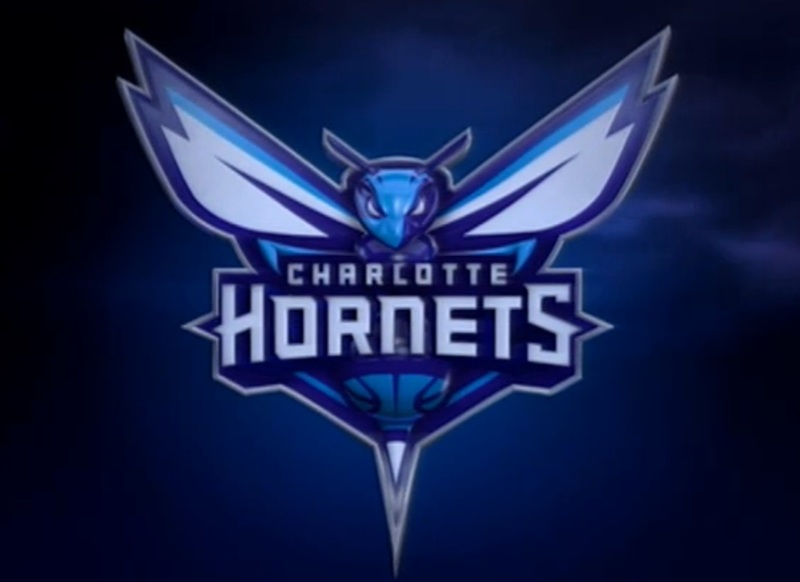 Incorporated within the logo is a basketball that doubles as the hornet’s body. 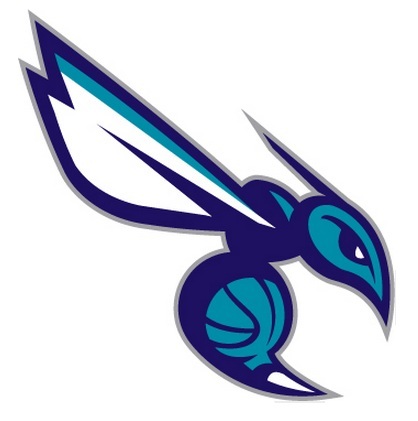 The Charlotte Hornets wordmark is written across the insect. 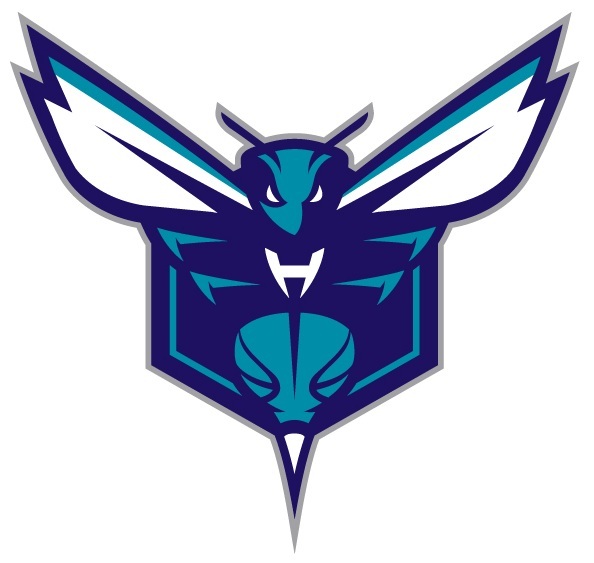 The logo contains several odes to that of the original Hornets with its white wings, white accents within its eyes, a stinger and the inclusion of a basketball. 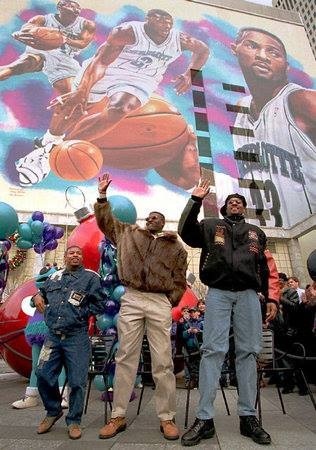 As part of the unveiling, the organization also announced that the beloved “Hugo” will officially return to Buzz City as the team’s mascot. 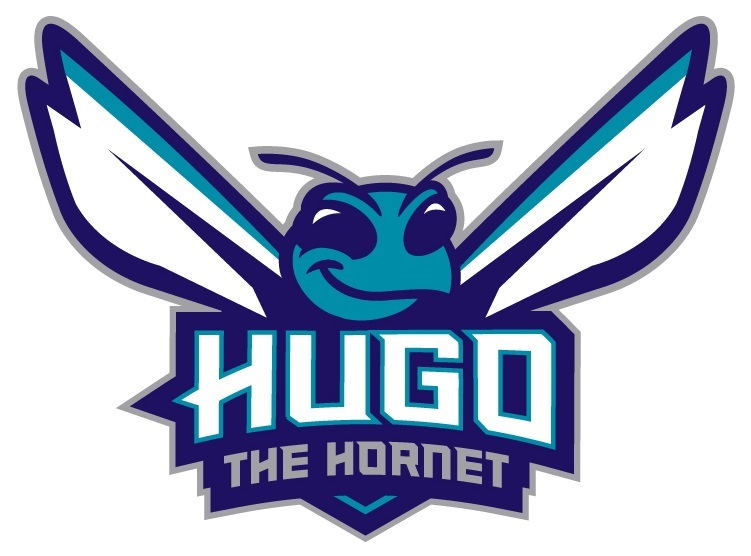 The Hornets brand identity includes a modernized version of the original “Hugo” logo that will be utilized for the mascot and its brand. 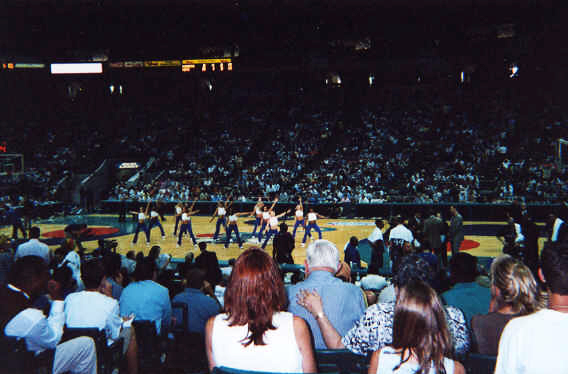 This logo is designed and intended for use as it relates to Hugo, and supplies the organization with a separate identity for one of the NBA’s most famous mascots. 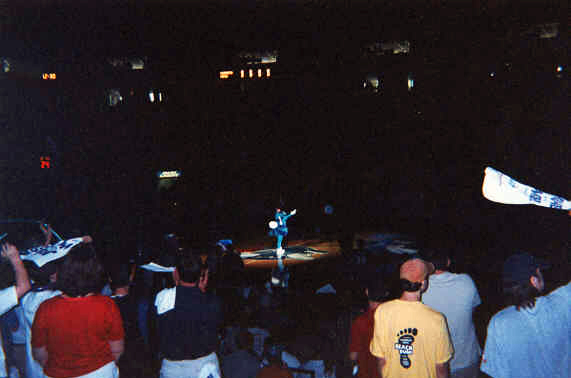 The refreshed Hugo logo contains several similarities to the original, with Hugo wearing white gloves and basketball shoes, possessing that trademark smile and having the letter “H” on his chest. 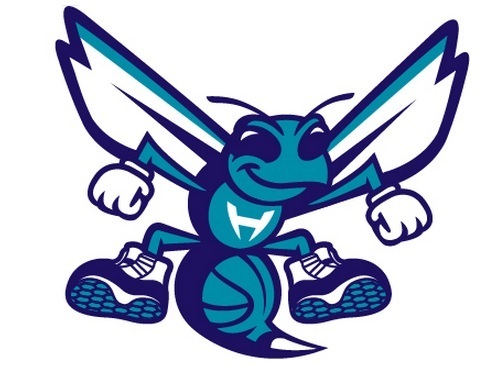 Rather than bouncing a basketball, the updated logo continues the theme of the basketball as part of the hornet’s body. 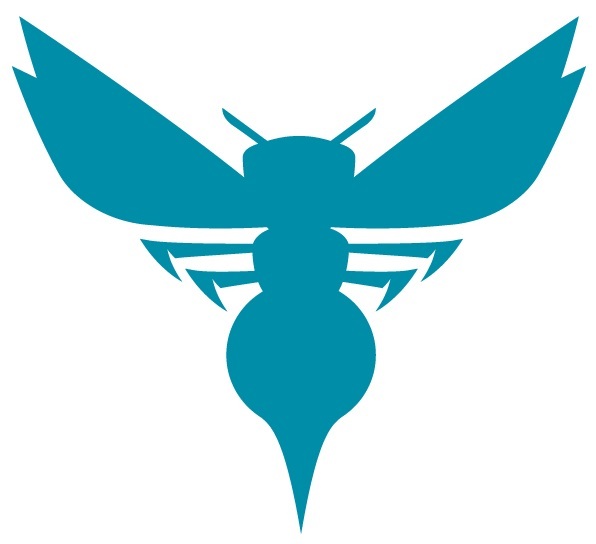 The secondary logo features a side view of the hornet in an attacking position with elongated wings, aggressive eyes and extended stinger. 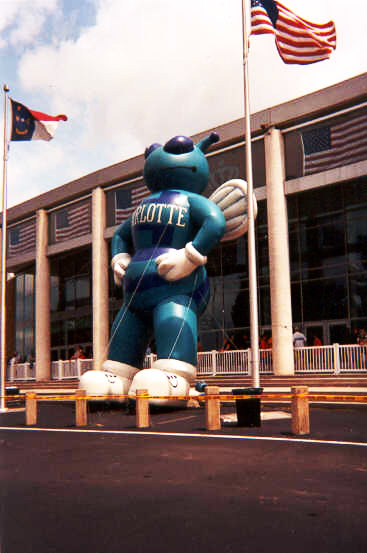 The body once again consists of a basketball, while the curled body shape represents the letter “C” for the city of Charlotte. It also consists of the purple and teal colors like the primary logo. 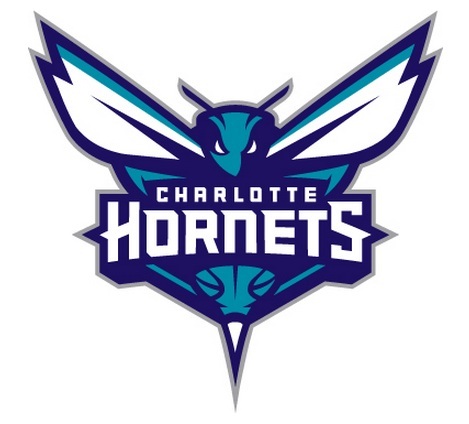 The Hornets wordmark includes the word Charlotte in teal written above the purple Hornets name. 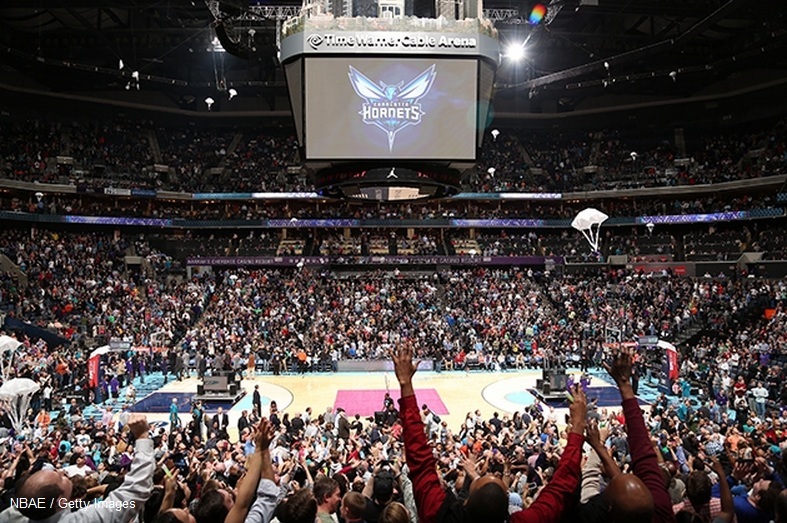 The entire brand identity – logos and wordmark – was designed in collaboration with senior executives within the Bobcats organization; Jordan Brand, a division of Nike; and the NBA’s Global Merchandising Group. Both Jordan Brand and Nike have a long history of working with professional teams and universities in developing brand identities and utilize some of the world’s most highly recognized designers. Merchandise featuring the new Hornets brand identity will be available for purchase at the Bobcats team store on Jan. 18, 2014. 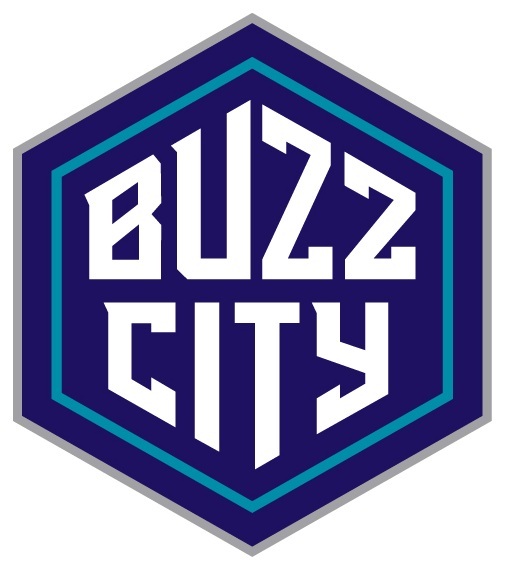 Fans can log on to http://www.BackBuzzCity.com and opt in to be alerted when the new merchandise has arrived. 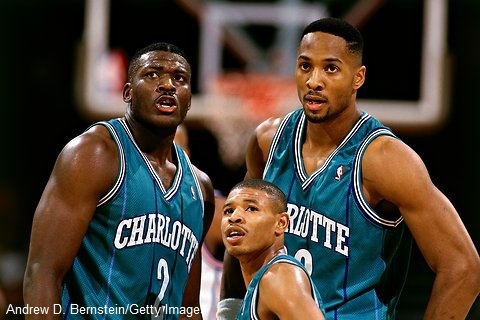 Merchandise incorporating the original Hornets logo is part of the NBA’s legacy line and will continue to be available at the team store. 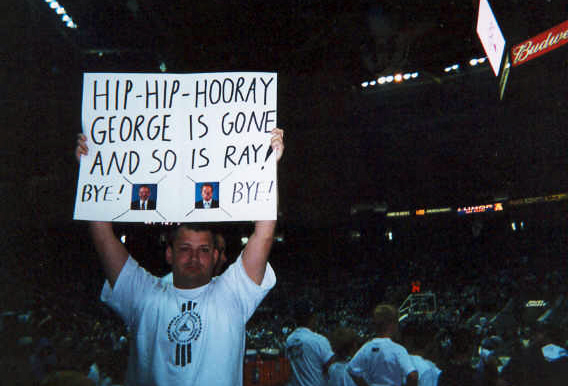 Before the Charlotte Hornets were eliminated from the playoffs, the NBA approved then franchise owners George Shinn’s and Ray Wooldridge’s move to New Orleans following the season. 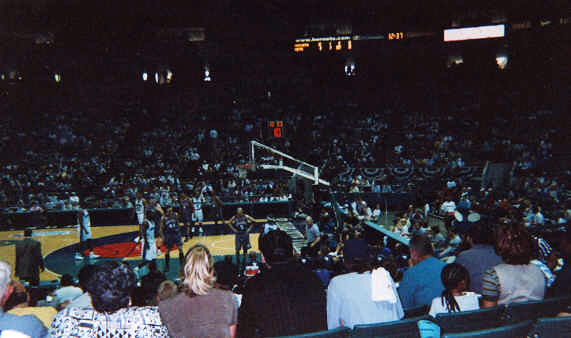 The NBA approved Charlotte to receive a new team for the 2004–2005 season that would later become the Charlotte Bobcats and now re-named Charlotte Hornets. 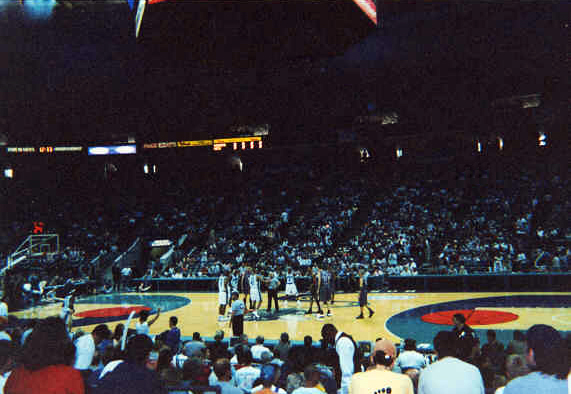 The final NBA basketball game hosted in the Charlotte Coliseum was on October 26, 2005 between Charlotte Bobcats and the Indiana Pacers. 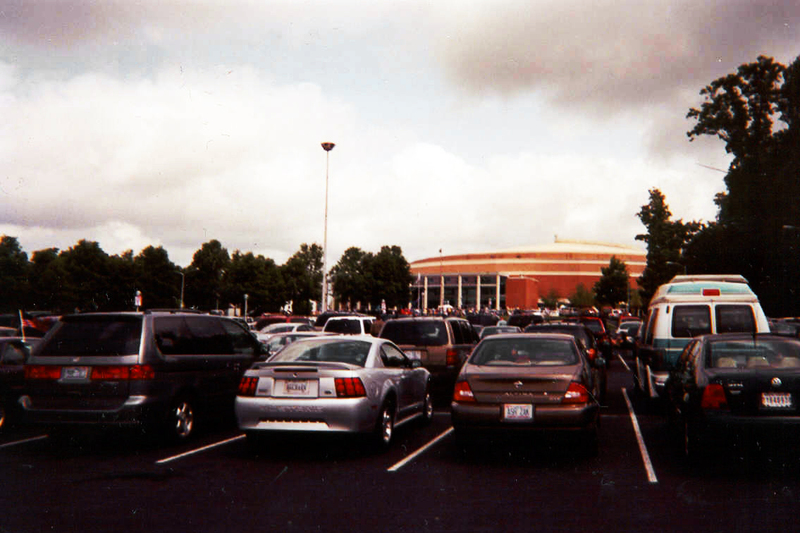 The Charlotte Coliseum was the NBA’s largest arena with 24,042 seats and was demolished on June 3, 2007. 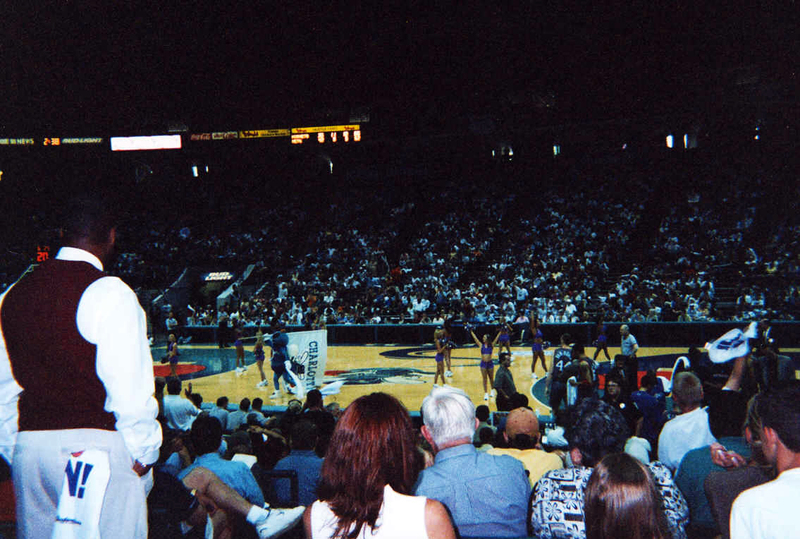 The Charlotte Coliseum was replaced by Time Warner Cable Arena, in uptown Charlotte, seating 19,077 (expandable to 20,200).